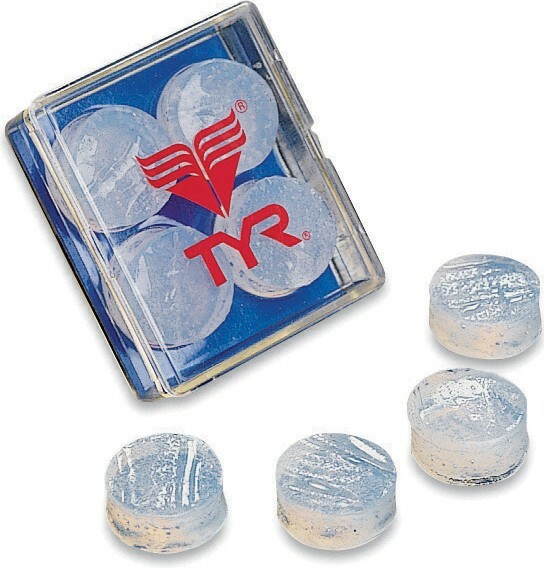 Engineered for swimmers on all levels, the Soft Silicone ear plugs can be molded to accommodate different ear sizes and are designed to create a secure tight seal that prevents water from entering the ears. Sold as a set of 4 the LEP Silicone Swimming Ear Plugs include a TYR carrying case for easy transport and storage. They are great and I would not go back to inserting old style into my ear cannel. First time ever using ear plugs while swimming and I'm surprised. The silicone is comfortable and molds softly into my ear. I was a bit worried I'd put them in wrong and damage my ear canal, but I followed the instructions and everything turned out great. The silicone doesn't shift and the seal is actually water-tight. 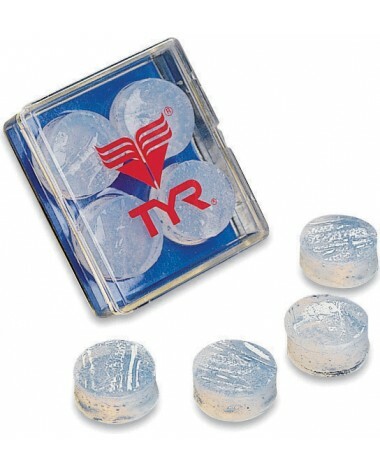 I've swam for over an hour and the ear plugs prevented any water from entering and bothering me. I really like them!!! Perfect for my swimming sessions. Q: Can you use these ear plugs if you have a tube in your ear? Q: How much do they reduce sound? Q: How do I mold these ear plugs to my ear?